Long intergenic noncoding RNA (lincRNA) plays important biological functions in plants. 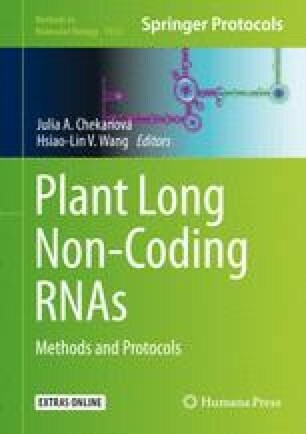 Identification and annotation of lincRNA in plants largely rely on RNA sequencing followed by computational analysis. In this protocol, we describe a multistep computational pipeline for lincRNA identification using RNA-sequencing data. This pipeline can also construct co-expression network that is made of both lincRNA and mRNA genes. The co-expression network generated by this pipeline can be used to provide putative annotation of lincRNAs that have no known biological functions. This work is supported by the Virginia Agricultural Experiment Station (Blacksburg) and the National Institute of Food and Agriculture, US Department of Agriculture (Washington, DC).